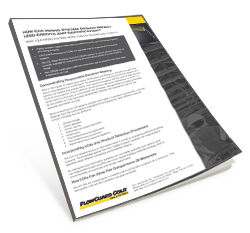 White Paper: How Piping Systems Work Toward LEED Credits | Lubrizol Advanced Materials, Inc.
How can piping system design impact LEED credits and certification? Though they remain largely hidden behind the walls of a home or building, piping systems play an essential role in the day-to-day operation of a building—and an integral part in achieving green design goals. Choice of piping touches several aspects of sustainability, including occupant health, resource management and even energy use. In fact, for projects seeking LEED v4 BD+C certification, piping systems can contribute toward credits under several headings. Complete the form to download the full PDF version.